For a beach vacation, I should first mention the beach. The Gulf Shores area has miles and miles of beaches dotted with large high rise condo complexes. 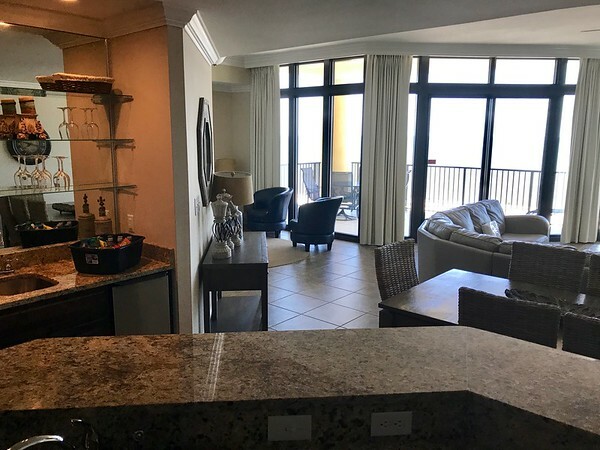 I walked from the condo where I was staying to the next large complex and it was a 15 minute walk, so it is easy to find a place on the beach with some space. The beach has a fine white powdery sand and the water is warm. The clarity of the water depends on the currents that day. All the beaches in the area follow a leave only footprints policy which forbids overnight camping, pets, glass containers, and fires. This effort is made not only to keep the beach clean but to provide a better habitat for local wildlife such as the Loggerhead sea turtles that nest on the beaches. For more information about local sea turtles check out the Share the Beach website. A relatively new activity in Gulf Shores is going on a cat boat tour with Kent Daily from Orange Beach Cat Boat Tours. 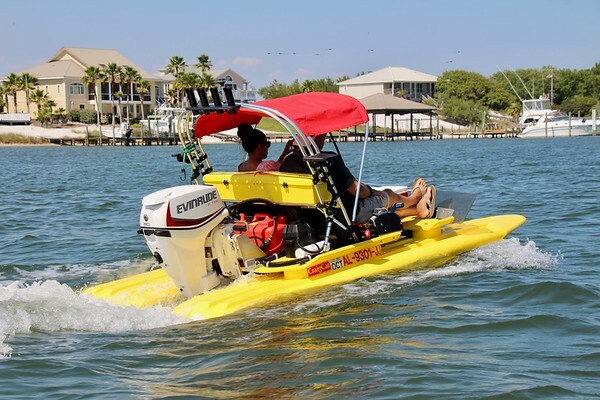 A cat boat is basically a large Evinrude outboard motor attached onto two small pontoons. 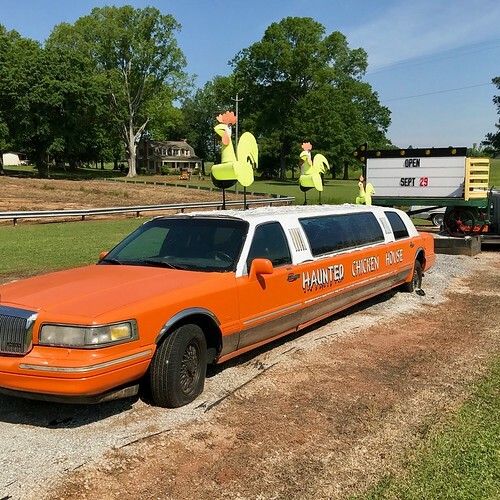 They hold two people, so while one person can ride with Kent, at least half of your group will be driving their own boat. Kent will take you on a guided tour of the inland waterways. Much of the Gulf Shores is a barrier island so the inland waterways are relatively calm. Some areas are no wake zones where you will cruise at a leisurely clip, but when you leave those areas you can find out what one of these boats can really do. Along the way Kent will point out houses owned by local celebrities or other local sites. A tour takes about 2 hours and leaves from the Caribe Marina in Orange Beach. It’s great fun! The Alabama Gulf Coast Zoo is a small zoo, and I can’t honestly pretend that I was very excited about visiting a small. I was wrong. What makes this zoo stand out is the animal encounters which give you the chance to have an up close encounter with a young alligator, a snake, a lemur, a young kangaroo, a sloth or an anteater. 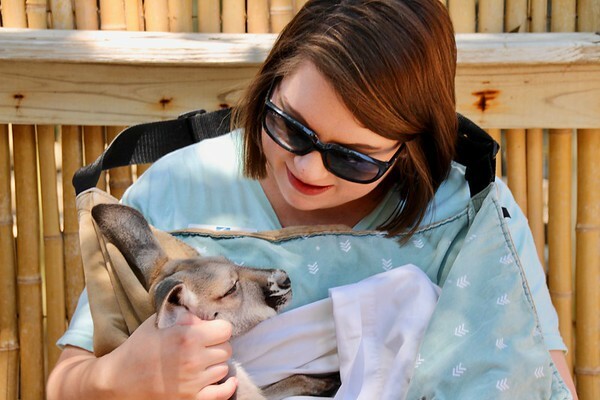 It is nice seeing kangaroos at the zoo but quite a different experience to have one poppped into a pouch and sit with that kangaroo on your lap. The zoo staff is there telling you want to do and more importantly what not to do as these are still wild animals, if zoo animals, not pets. 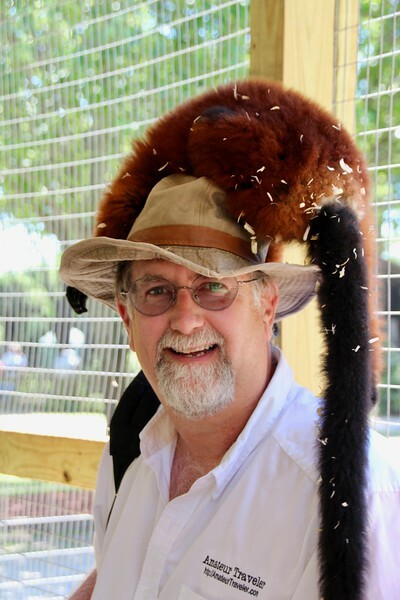 If you want to be very popular in the lemur encounter, I found that wearing a hat worked. But, I should have left my camera case outside the encounter as they could not keep their hands off it as well. The zoo charges $11 for adults / $8 for kids. 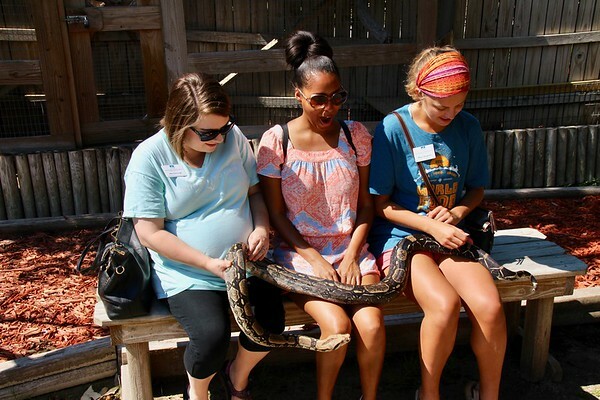 The animal encounters are then an extra charge of $5-10 per person depending on the animal. 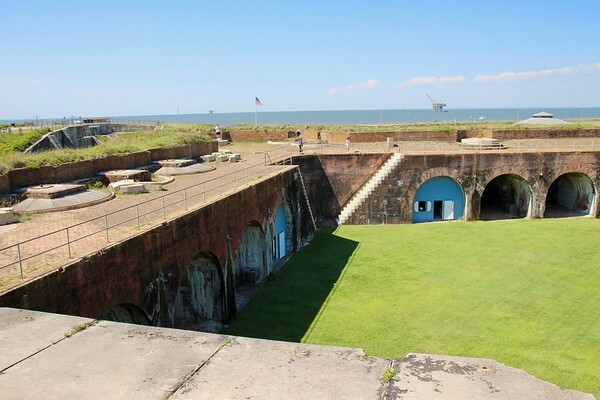 For a great history lesson, stop by the Fort Morgan Historic Site which was, among other things, the site of the battle of Mobile Bay during the Civil War where Admiral David Farragut said (or almost certainly didn’t say) “damn the torpedoes, full speed ahead!” On August 5, 1864, ships from the Union navy ran the guns of Fort Morgan to enter Mobile Bay where they defeated a Confederate naval squadron including the formidable C.S.S. Tennessee. They captured the fort 17 days later. Fort Morgan is a brick, star-shaped fort or bastion fort built on the site of the older Fort Bowyer. 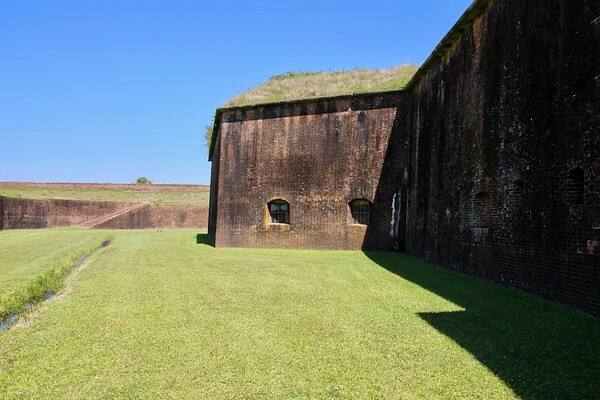 Fort Bowyer was the site of two battles against the British in the war of 1812, the first a U.S. victory but the second saw the fort captured after the unsuccessful attempt by the British to capture New Orleans. Fort Morgan was completed in 1934. Check the park website for times of guided tours of the fort. Pay special attention to the evening tours on Tuesday nights in the Summer. 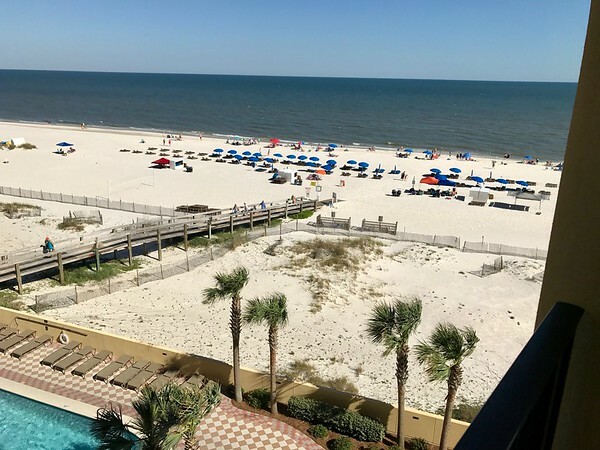 One of the best things about the Gulf Shores area is that plopped in the middle of this beach resort area is the large (6,500 acres) Gulf Shores State Park. A large part of the beach area is held preserved in this park, which will limit future development. The park also covers a large area of marshland and pine forest on the north side of the main beach road (highway 182), including 3 lakes. 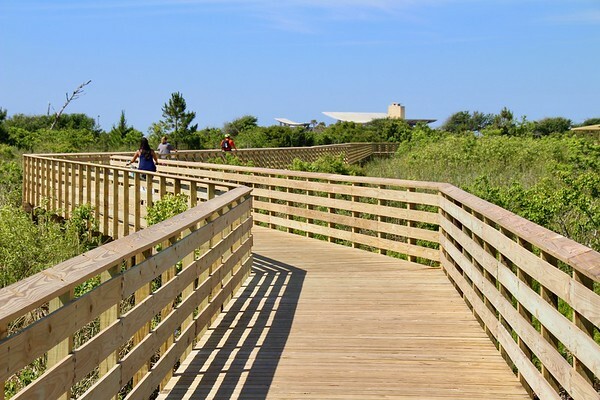 The park has 25 miles of paved paths and boardwalks that wind through its marshes and woods. A great way to explore the park is by bike. We picked up bikes from Beach Bike Rentals and followed owner Mark Fontenot on a ride through the park. On a warm day in late Spring, getting on a 3 speed cruiser bike and exploring this very flat landscape is a pretty great outing. We stopped to see one of the local alligators in the park. 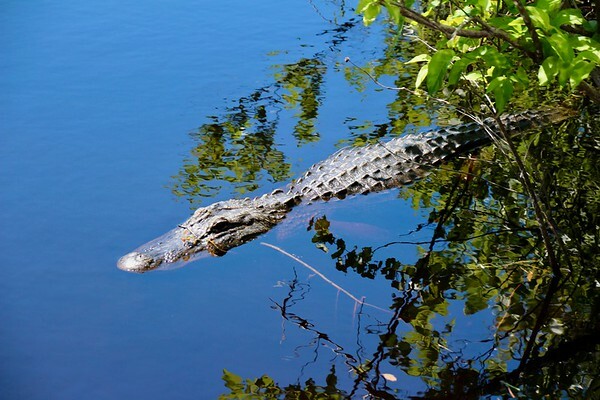 This alligator is called “lefty” because it is missing its left front foot. Lefty had just had babies and there were small alligators swimming near or on her. 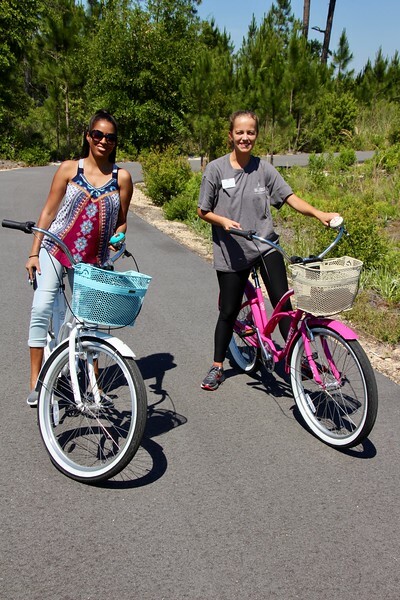 You can rent a cruiser from Beach Bike Rentals for just $25 a day or $85 a week. They also rent tandem bikes, adult trikes and kid’s bikes. We could pick the color and design of our bell and basket. Helmets are not required, but I always wear one. The other half of our group explored the same trails and boardwalks on a segway from Coastal Segway Adventures. I love a good Segway ride as well, but had recently ridden one, so I opted for the bike and the exercise instead. 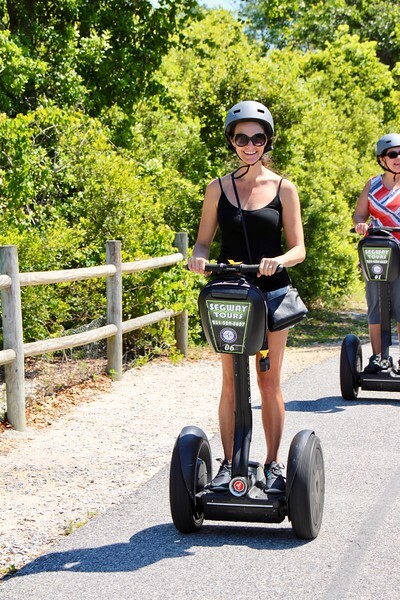 A guided 2-hour Segway tour is $70 per person. If you are a fan of Stand Up Paddleboarding, then the lakes in the Gulf Coast Park make a great calm location for that as well. Part of our group wet out with the owners of the Gulf Coast Paddle Company. What’s the point of going to the beach if you don’t get out on the water and a sunset sail is a great way to do that. 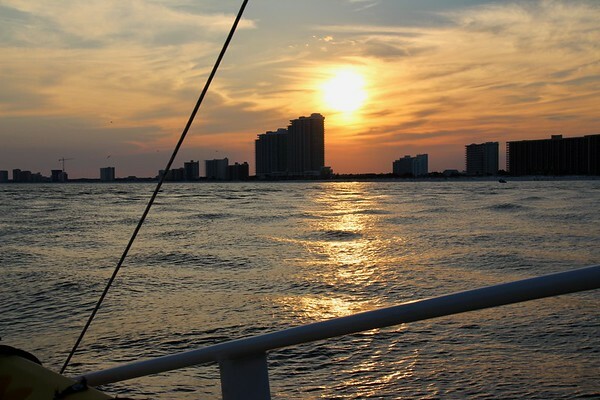 We took a sunset cruise on a catamaran from Sail Wild Hearts into the Gulf waters south of Gulf Shores. 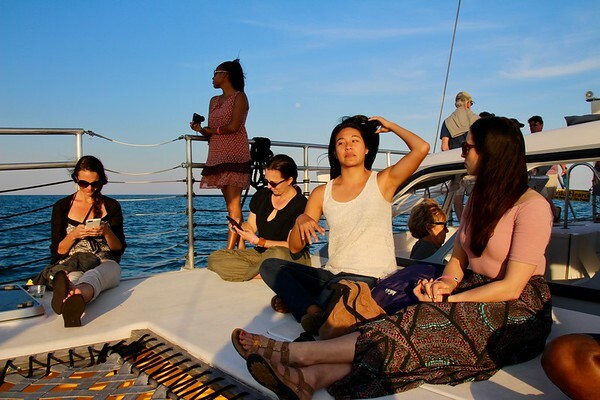 This was more of a snacks cruise than a dinner cruise, but most people just enjoyed sitting out on deck and watching the scenery (when you could get the bloggers off their cell phones). For many people, fishing would be the first of the activities that they would mention for the Gulf Shores area. This area was known for its fishing probably before it was known for anything else. You can still catch an early morning boat out to try your luck at the local sport fishing. Part of our group, but not the guy who doesn’t like fish, took a charter fishing trip with Ocean Ox Charters. They could not keep all the fish they caught because of size restrictions… or so they claimed. They did have pictures to backup their story. While a long walk on the Beach is more my speed, some of our group enjoyed getting up early for some Yoga on the beach with Glow Yoga who have a nearby studio. When you are done with your evening dinner and you still have energy to party, then head just over the nearby Florida state line to the iconic Flora-Bama. Here you can hear some live music in what can only be described as a ramshackle but iconic beach bar. The night that we were there the crowd was pretty mellow, and were listening to a trio singing songs all written in the first third of my life. But clearly the crowd gets more wild at times from the number of bras that have been flung onto the lines above one of the stages. 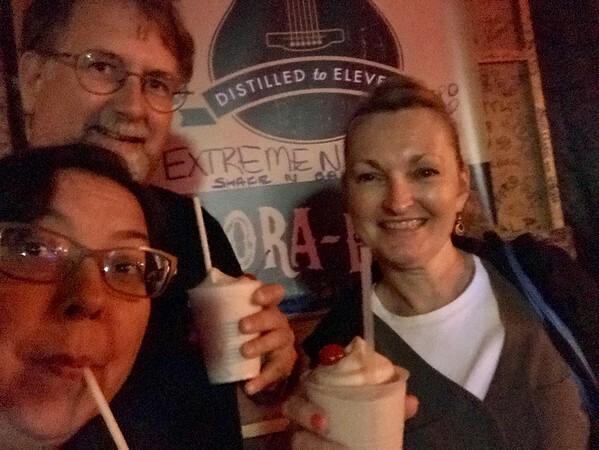 We were not drinking the local Bra Slinger drink, but the Bushwacker which is sort of like a Wendy’s frosty… with a kick. For a very different scene, visit the Flora-Bama for church on Sunday mornings. They have an active congregation that meets at a stage in the back (one without bras). I met at least one regular attendee who loves it. 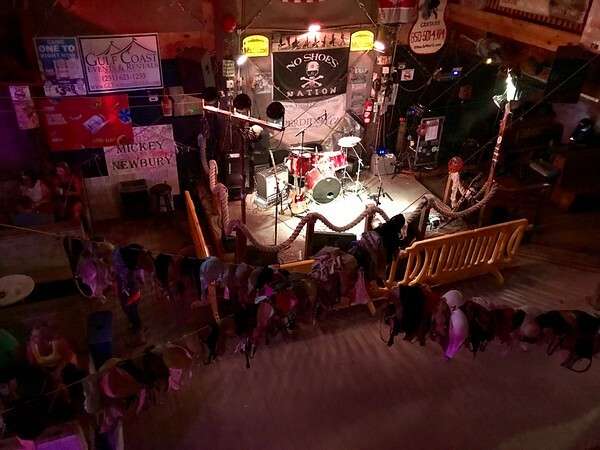 Flora-Bama also hosts other community events like Thanksgiving potlucks. 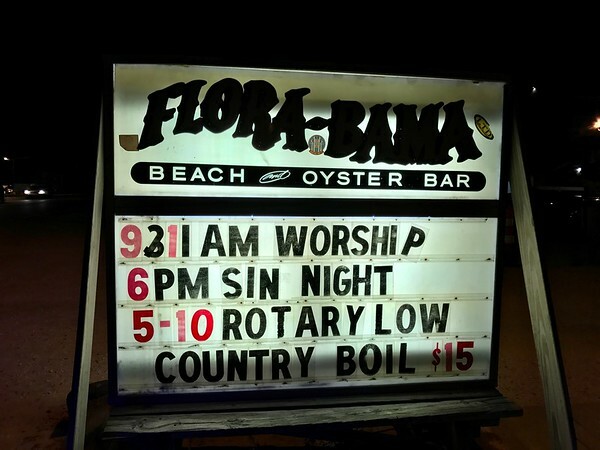 The sign outside the Flora-Bama says 9 & 11 Worships and 6pm Sin Night. I feel like if I could ever understand the Flora-Bama, then I could understand the American South and the Gulf Shores area. 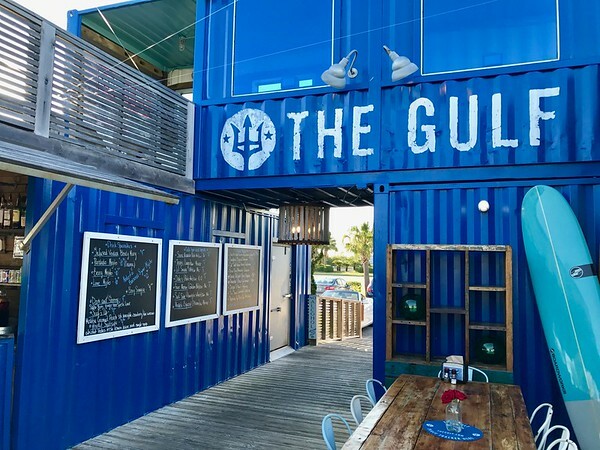 There are also great places to eat and great food in the Gulf Shores area. 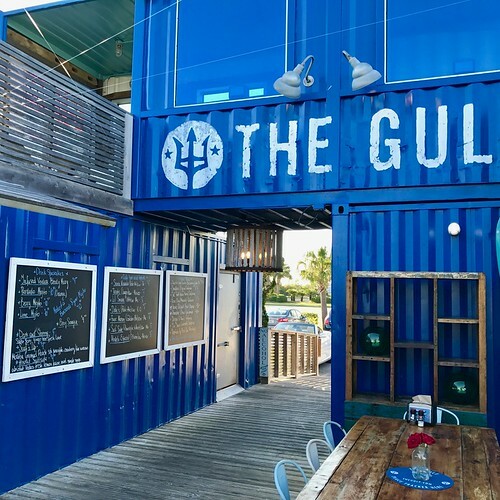 Check out the post 8 Great Places to Eat in Gulf Shores, Alabama for more information. I stayed in the lovely Phoenix West II complex built by Brett/Robinson Vacations in a seriously huge condo unit. The complex had its own beach access, lazy river, indoor pool and an extensive fitness center. I believe that all the condos look out on the beach. There are also a number of hotel options in the area, with new ones opening up. Check out the best rated hotels in the Gulf Shores area for more info and prices. If you are just looking for a beach with white squeaky sand and warm water, the Gulf Shores area will suit you nicely. But if you are looking for other things to do, this is just the start of what the area has to offer. I am so glad you had such a good time on you trip to my home state. I just wish I could have made it to TBEX to be the tour guide. Gulf Shores is a great place and I can’t wait till I get to be back on the coast of Alabama and North Florida. I’m so glad that a Lemur photo made it into the post. Excellent roundup of all the wonderful things that we did in Alabama! I was getting a little nervous as I was reading that you weren’t going to mention Flora-Bama, but you came through. Such an underrated stretch of coast and thanks so much for shining a light on it! I keep thinking that there are still some stories to be made at the Florabama. It was so fun to travel with y’all (sorry, I couldn’t resisy). I hope our traveling path meet again and I get to meet your wife!